Moving houses? Rearranging a flat? This is a perfect moment to switch from those commonplace or simply worn off furniture to a more appealing and up-to-date design. And this is when our WANDER TV Stand comes on the scene! This floating TV cabinet boasts a contemporary aesthetics, adding a visual lightness to your living room. Thanks to the choice of soothing colours and minimalist look, it will easily blend to every interior style and taste - a wood-imitating brown for the nature lovers, a stylish combination of white body and grey gloss fronts for those who appreciate timeless elegance or concrete-like grey for fans of industrial design. 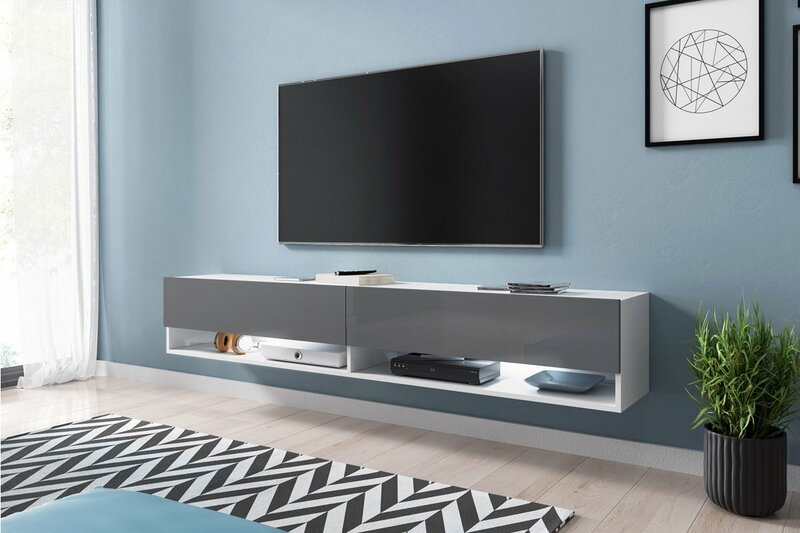 Next to aesthetic values, WANDER TV Cabinet is all about functionality, offering ample storage space: two spacious compartments hidden behind a front door opening downwards for your AV accessories and items you wish to keep hidden, and two convenient shelves perfect for your decoder or game console. 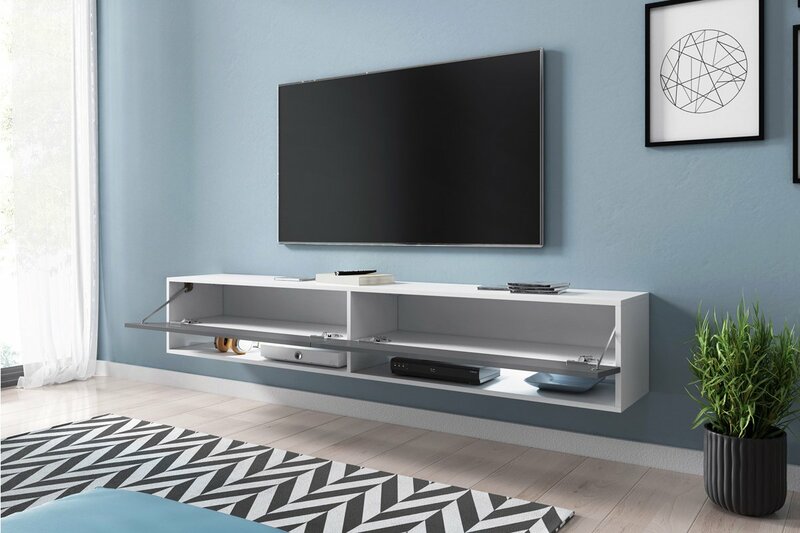 And, because it is a hanging TV unit, you're gaining all this space underneath for anything from a newspaper holder to your pet's lounge spot. 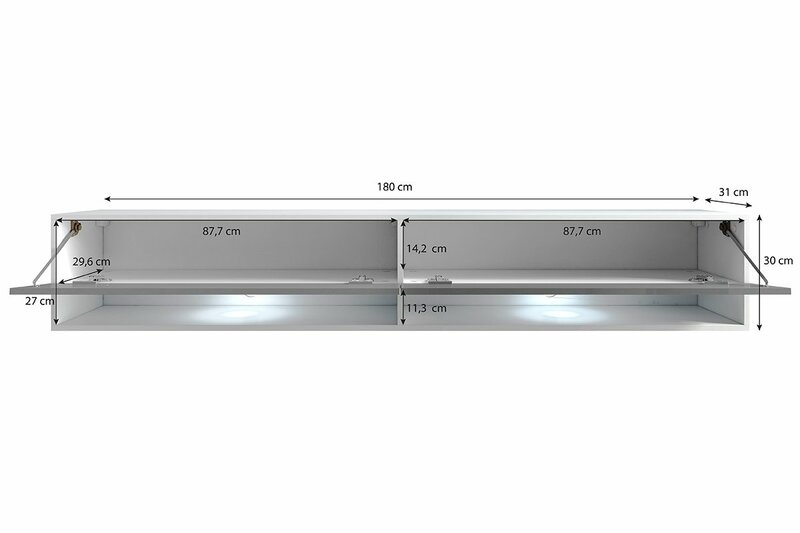 WANDER TV Stand is also available in two other sizes - 100 cm and 140 cm. Embrace change and bet on modern solutions with our WANDER entertainment unit. WANDER table is delivered flat packed and accompanied with easy-to-follow/illustrated assembly instructions. If you are NOT experienced in assembling flat-packed furniture, we recommend that you seek the services of a professional assembler to prevent incorrect assembly or damage to components. Suitable for TV's up to 90"